Chiang Mai is a great place to relax and recharge yourself after the chaos of Bangkok. This laid-back province of Thailand is where Let’s Relax is originated and begin its 18-years long journey up to today. Located in the north of Thailand, Chiang Mai is known for its nature and mountainous landscape. A sprawling modern city, it combines the old and new with the evolving Nimman area and its cafe strip. After a day walking the temples or getting your fill of the local food, wind down with a massage at one of our Chiang Mai spas. Currently, Let’s Relax has three spa branches operating in Chiang Mai: Chiang Mai Pavillion branch, Tha Pae Gate Branch and Chiang Mai One Nimman. 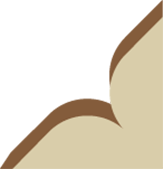 Each branch has its own mood of decoration. At Let’s Relax Chiangmai, you get to experience the slow-paced and heartfelt hospitality of the northern locals. We have a variety of different treatments available at our spas in Chiang Mai, and something to suit everyone. Such as the popular Thai Massage, which is an ancient healing system that combines acupressure, Indian Ayurvedic principles, and assisted yoga postures. Thai Massage follows the energy lines of the body and will leave you feeling limber and relaxed after a day exploring Chiang Mai. Choose to add aroma oil to your massage and you’ll take your relaxation to the next level with one of our carefully selected scents. Aside from massages in Chiang Mai, we have a full range of skin treatments and packages at our Chiang Mai spas. Enjoy a massage for yourself or a full day package with a partner or friend. Inclusive of treatments like facials, body scrubs and baths, it’s the ultimate serene experience to leave you refreshed, and recharged. A must-visit top-class day spa & massage in Chiang Mai. Let’s Relax Chiang Mai Pavillion, our first Let’s Relax branch, recently went through a renovation in full phase, adding a bigger Spa Shop and additional spa rooms. A casual and cozy day spa that is differentiated from other Lanna spas in Chiang Mai with the bold design concept of modern industrial look that has a balance of complexity and contradiction. 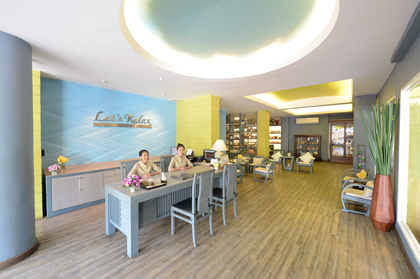 The branch consists of Let’s Relax Spa, Thailand’s most popular boutique day spa chain, as well as D.Bistro, an all-day dining cozy cafe and Blooming Spa Product Shop made in Thailand. The Antique European Shophouse in which our spa is located has become the new hangout spot for locals and international tourist. Conveniently located on the 1st Floor and spanning on 3rd and 4 Floor of One Nimman, the new Arts, Culture and Lifestyle Living Space that blends in the modern lifestyle with local Chiang Mai unique culture, Let’s Relax Chiang Mai One Nimman offers the perfect balance of body and soul. 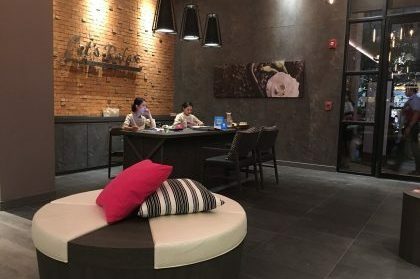 Designed in the modern architecture with the use of the Red bricks and colorful vibes inherited from the Living Space’s key interior design, Let’s Relax offers a playful yet calm spa ambiance that will woo the crowds.